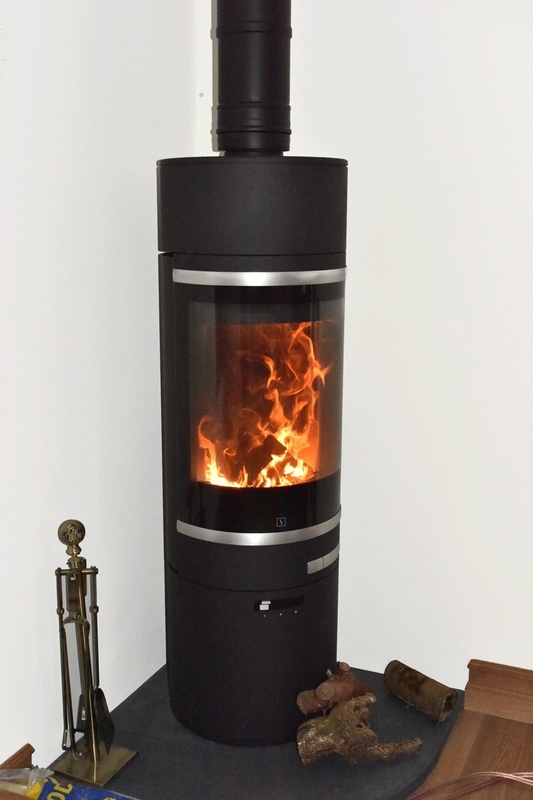 Scan 85 wood burner in a corner situation wood burning stove installation from Kernow Fires. 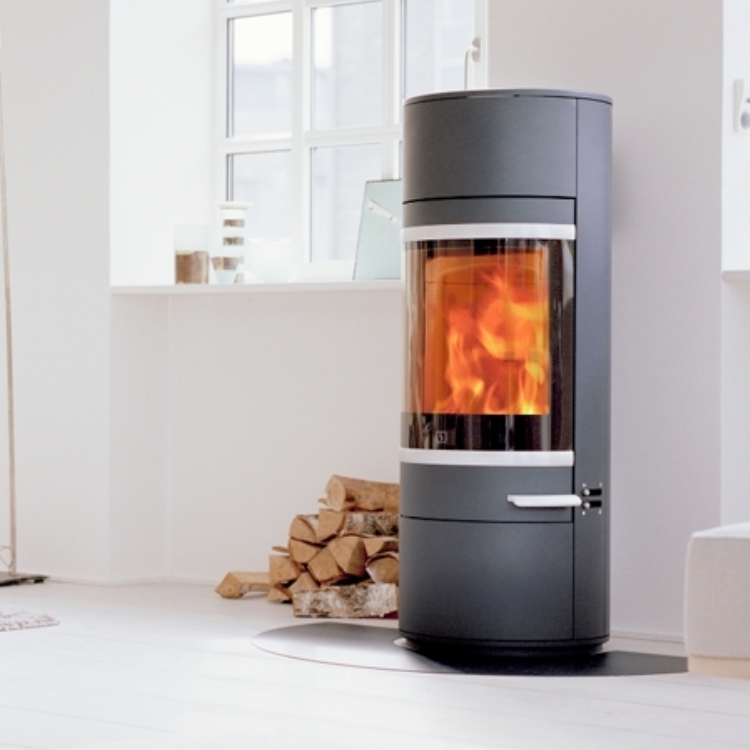 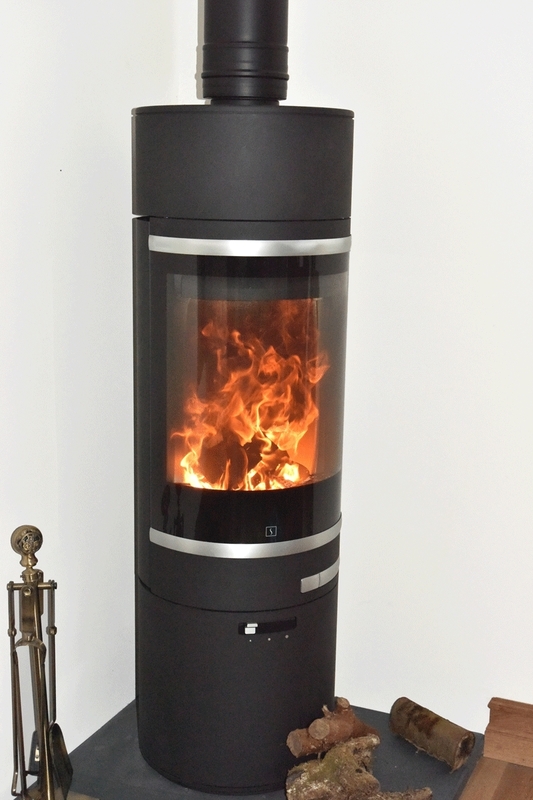 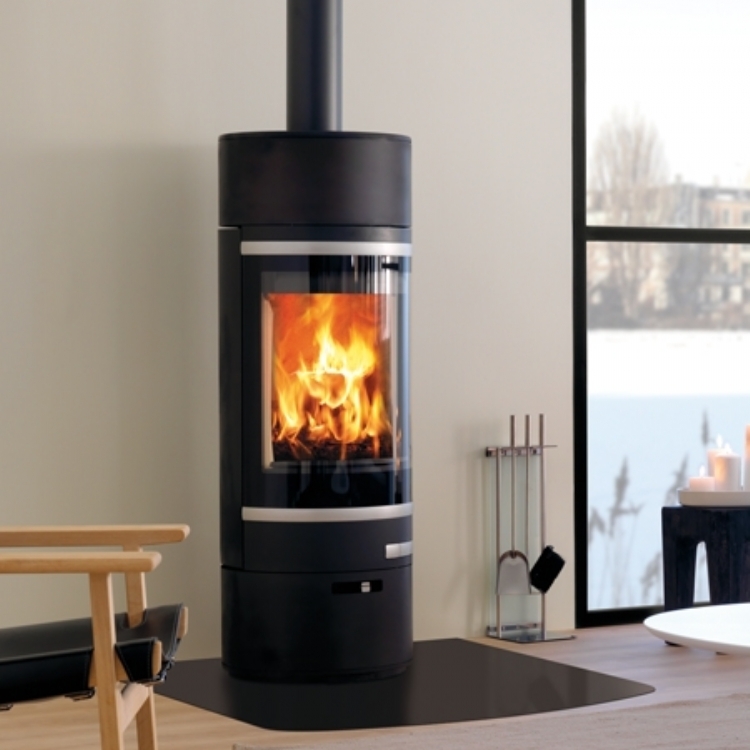 The Scan 85 is perfect for a corner situation as it's cylindrical shape and door give a huge view of the fire which can be seen from a wide angle. 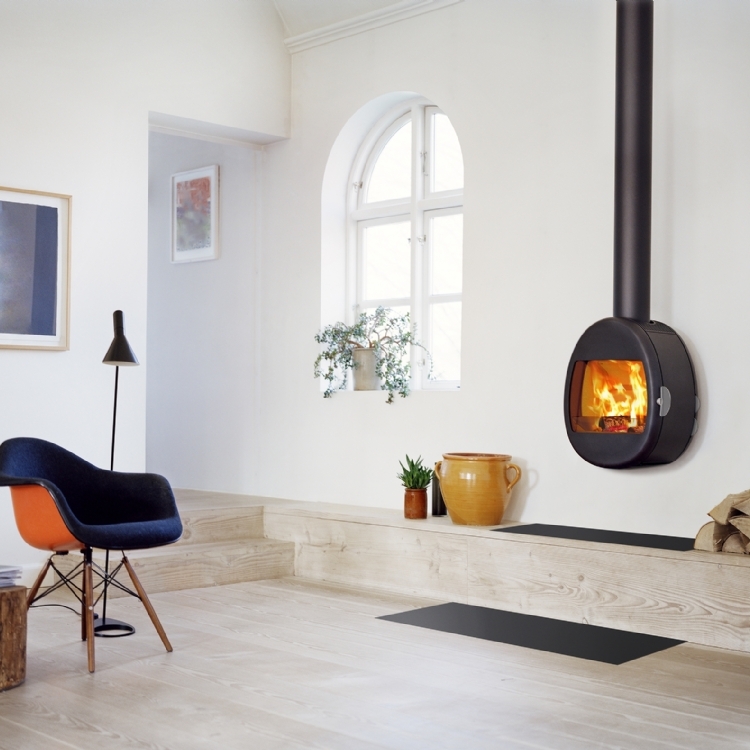 here the Scan 84 wood burner has been fitted onto a teardrop honed slate hearth which was made to order.